You are currently browsing the category archive for the ‘Bonhoeffer Letters’ category. ~ Dietrich Bonhoeffer, After Ten Years in Letters & Papers From Prison, 10. 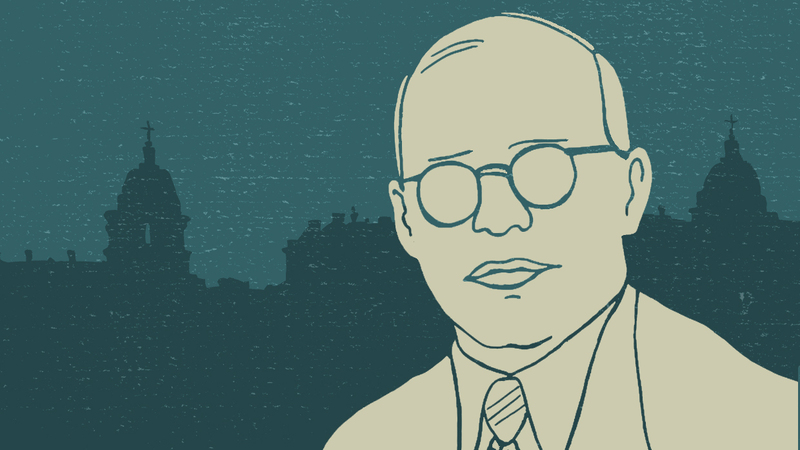 Dietrich Bonhoeffer on Meeting Danger Head-On! ~ Dietrich Bonhoeffer, After Ten Years in Letters & Papers From Prison, 13-14. ~ Dietrich Bonhoeffer, After Ten Years in Letters & Papers From Prison, 13. ~ Dietrich Bonhoeffer, After Ten Years in Letters & Papers From Prison, 12. ~ Dietrich Bonhoeffer, After Ten Years in Letters & Papers From Prison, 11. ~ Dietrich Bonhoeffer, After Ten Years in Letters & Papers From Prison, 7. What the German theologian is still teaching me on the 70th anniversary of his death. One evening, after his young students at the underground seminary of Finkenwalde had finished their supper, Dietrich Bonhoeffer went alone to the kitchen to wash the dishes. He began the work alone, then requested the help of his pupils. But the seminarians did not budge, leaving Bonhoeffer alone scrubbing silverware. When no one offered to serve alongside him, he locked the door. When the students realized what he had done, they felt badly and finally offered to help. The door, however, remained locked and Bonhoeffer finished the work alone. His lesson was simple: service and leadership go together, and true service does not stem from lazy pity. Each of the students at Finkenwalde had a number of these experiences when, because of his intense desire to teach them, Bonhoeffer would do or command something unusual in order to underscore the radical nature of life within the kingdom of God. To make disciples of Jesus in this upside-down kingdom required hyperbole and dramatic expression. And on one occasion, it meant locking the door while washing the dishes. My introduction to Bonhoeffer came through his small book entitled, Psalms: The Prayer Book of the Bible. My wife had taken it off her stepmom’s bookshelf when we were in high school and dating. Near the end of that little book, Bonhoeffer’s best friend, Eberhard Bethge, wrote “A Biographical Sketch” of the pastor and theologian. In this section, Bethge describes his friend’s time as a leader of the secret, underground seminary. This short passage piqued my interested in Bonhoeffer, leading me to read Life Together and his Letters and Papers from Prison. On April 9, 1945, Dietrich Bonhoeffer was executed by the Nazi regime in Germany just two weeks before Allied forces liberated the camp where he was hanged—70 years ago this week. Bonhoeffer was a German Lutheran pastor and theologian. Leading up to his death at the age of 44, Bonhoeffer spent two years held captive in Tegel prison due to his role in the German resistance movement. During his time in prison he wrote a number of letters to friends and loved ones which were gathered together after his death and published in a book called Letters and Papers from Prison. The book touched on pressing questions about the place of Christianity in an increasingly secular world and it established Bonhoeffer as one of the leading Protestant thinkers of the twentieth century. In this episode, Martin E. Marty discusses the biography he recently published on Bonhoeffer’s Letters and Papers from Prison.